Should You Use Automated Twitter Tools? There was a time when it was possible to switch on a computer and all you had to choose from was gaming and word processing. And then the Internet came along, and the World Wide Web, and suddenly people realized how important it was to have a web presence. So businesses, authors, even books themselves had websites… but it became a little impersonal with the sheer scale of things. After all, the web is an extension of print, rather than a replacement, and therefore is prone to the same trends, habits, excitement and buzz as newspapers and magazines. Traditional print media and the new digital avenue regularly collide, but in doing so it creates a massive barrier to communicating directly with the audience. This is the reason why live web chats were invented by newspapers and broadcasters, and it is also the main driving force behind Twitter. While you or I might sign up to Twitter and create a new account to tell the world about our latest night out (or in my case, article for this very website), actors, celebrities, sports men, pop stars, authors and even politicians are using the increasingly popular social network to reach out to their fans directly. It allows a “personal side” to be shown to fans as well as the ability to instantly share news and information, and the chance for fans to interact on a one-on-one basis with the person or material concerned. As you can imagine from the description above, once any actor, writer, company or product has amassed a lot of followers, things start getting a bit tricky. First of all, there is the matter of checking through the Tweets for any relevant, important or interesting messages or replies. Some of these might be worth sharing with the audience, for instance. Secondly, there is the matter of engaging in regular Twitter community events. One of these is something many Twitterers with a following engage in, known as “Follow Friday”, whereby suggestions are made to fans of what other accounts they might follow. One great way in which to deal with a weekly “Follow Friday” post or any other regular Tweet that says the same thing is to employ a scheduling service, such as Twuffer or FutureTweets. Now you’re scheduling Tweets, why not find other automation tools? 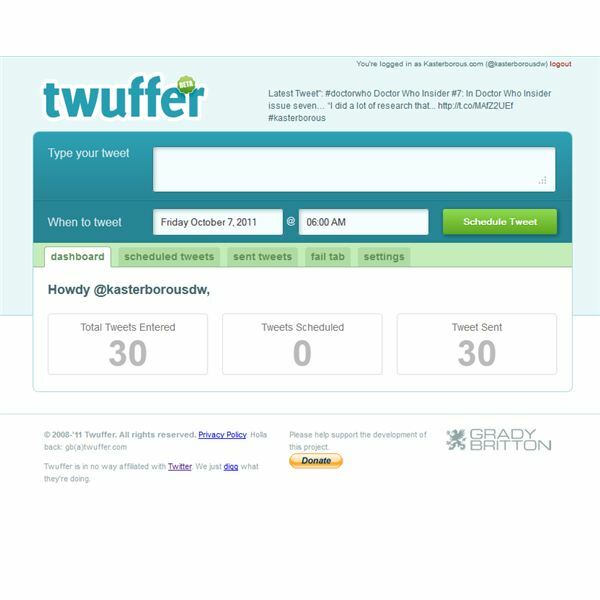 Twaitter performs many of the same tasks as Twuffer and FutureTweets but with added personal messaging, while CoTweet is ideal for multiple user management of single Twitter accounts. Various other automation tools are available for Twitter, such as SocialOomph which offers scheduling, group use and many other advanced features (including email Tweets), allowing you to manage your presence on the service. Hang on – Doesn’t This Defeat the Object of Twitter? Naturally, all of this takes some effort. When you’re at the stage of hiring staff or a publicity company to manage your Twitter account, however, then the time to stop using the service has surely come. Well, it’s one thing to use one of the many services (such as Twitterfeed) to populate your Twitter account with updates from an RSS feed; after all, these updates might be what your followers are looking for. However it is another when the personal touch has been completely removed in favor of bringing in a wholly automated presence that doesn’t speak directly to the audience. 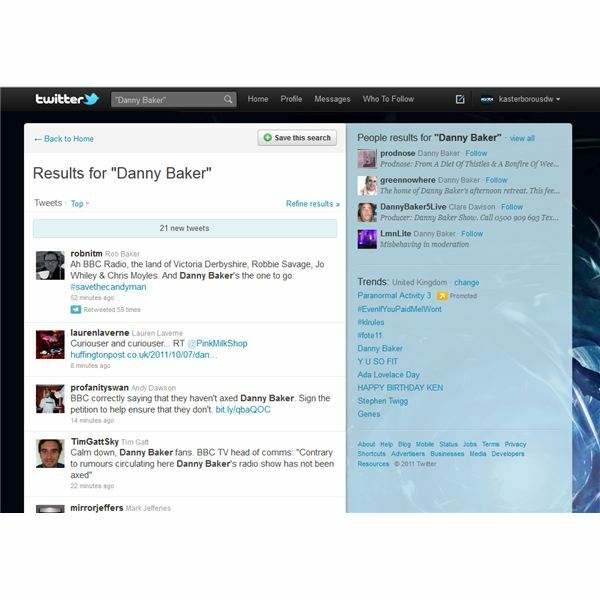 The unique selling point of Twitter is to have an ongoing conversation with individuals and groups all at the same time – bringing in a PR agency or employing too many automation tools just defeats this and turns Twitter into an extension of the website, publication or public profile of the individual or brand concerned. Speaking from experience, there is a particular benefit to using scheduling tools and third-party interfaces. With the scheduling tools in particular (but also any tool that makes it easier to follow trends, find people with similar interests and so on) the whole issue of attempting to sign on to Twitter – either via the website or a service such as Tweetdeck – is made redundant. All you need to do is load up a scheduler like Twuffer on a Monday morning and program it to send your “Follow Friday” (or other scheduled post) four days later. Such is the popularity of Twitter and the habit of sharing good Tweeters with your followers, managing to sign in either to the main Twitter website or to a service that accesses the API is usually next to impossible. Well, put simply, Twitter is dying. The servers simply are not up to the job, and thanks to the modest, hidden-from-the-public sponsored revenue system, Twitter doesn’t seem able to invest in infrastructure and servers that can support a massive user base. 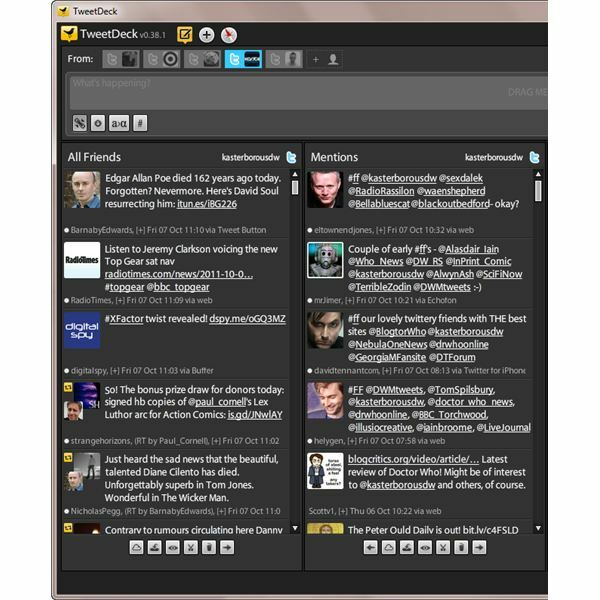 More and more users are consolidating their Twitter time by using third-party desktop apps such as Tweetdeck, which will keep running even while Twitter itself is struggling. With inadequate server resources, a policy of closing apps that don’t improve the Twitter experience and support for apps that extend the experience beyond the Twitter website, the personal touch is under threat. Twitter is becoming a victim of its own success, an expensive project whose unique selling point is being eroded by the very applications that users turn to in order to keep Tweeting. What do you think? Do you use automated Twitter tools, and if you do, have they made your Twitter experience better or worse?